Crushed Red Potatoes | Cook It Quick! The first thing that attracted me to this recipe was the name and the fact I didn’t have to peel the potatoes! Plus, while the potatoes were boiling, I could gather the other ingredients and clean up my preparation dishes and utensils. can see from the nutritional information, potatoes can make a delicious side dish that is reasonable in calories, low in cholesterol and high in potassium. The combination of reduced-fat sour cream and olive oil might seem unusual but it yields a delicious taste and texture in these crushed potatoes. Meanwhile, combine sour cream, shallots, parsley, milk, oil, salt and pepper in a small bowl. Stir until smooth and set aside. 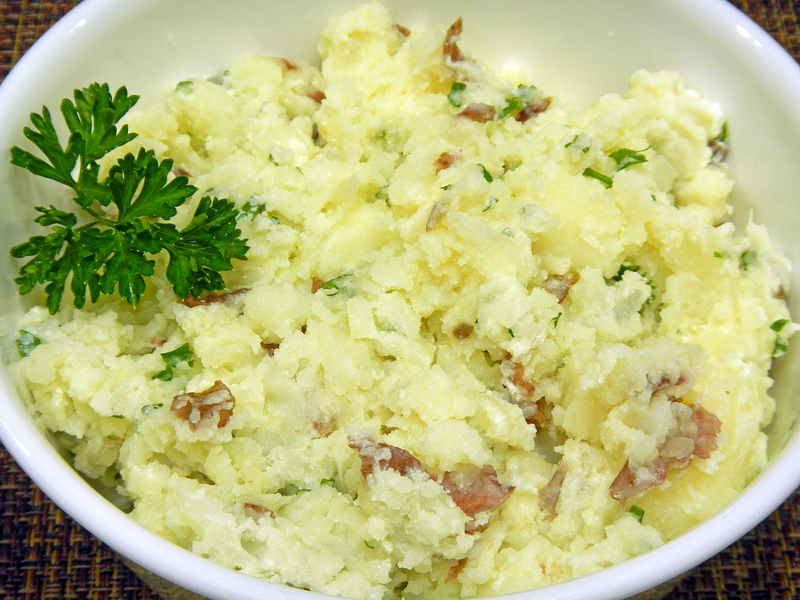 Drain the potatoes and crush — but do not completely mash — potatoes with a potato masher or the back of a large spoon. Stir in the sour-cream mixture. Adjust seasonings with salt and pepper. I substituted 2 tablespoons of chopped sweet onion for the shallots. This entry was posted in herbs, recipes and tagged alice henneman, cook it quick, extension, healthy cooking, herbs, nutrition, potatoes. Bookmark the permalink.